ERIN, Ontario – The Erin PS school community is learning about using social media in responsible and intentional ways. On Tuesday, he led sessions on resiliency and social media for students in grades 4-6 and grades 7-8. 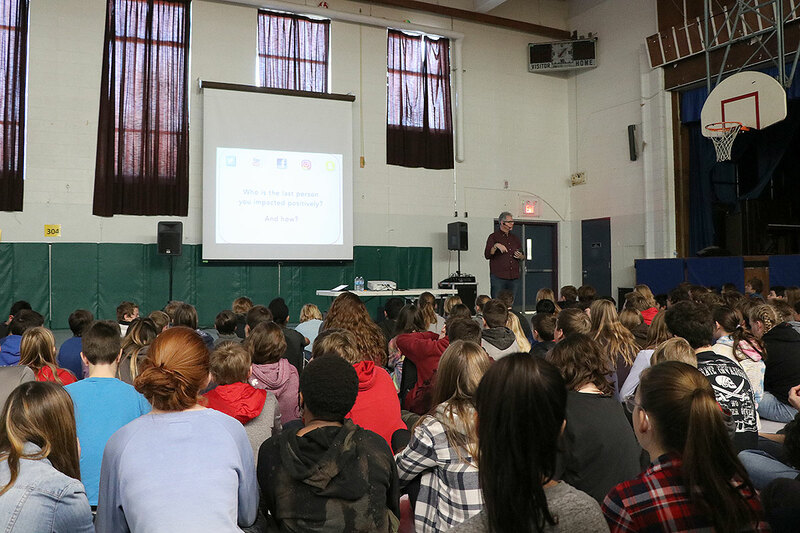 Erin PS is one of many UGDSB schools Vollum has visited to share his messages of achieving a healthy balance of screen time, building a sustainable reputation online, and how social media can affect one’s mental health. Speaking to students, Vollum emphasized that he wasn’t suggesting youth stop using social media, but rather change and improve how they use it. He told success stories of youth who utilized social media to help obtain their goals, by thinking of who and where they want to be in the future and post in ways that help them achieve those things. Vollum encouraged students to post with gratitude, empathy, kindness and compassion. Rather than posting about everything we see, think, experience and feel, act as a filter and post things that align with your values. “What I post online will affect my reputation. Always,” was a message shared with students who in a few years will start to think about applying to jobs, colleges or universities. On Tuesday evening, Vollum will host a special presentation for Erin PS parents and guardians.